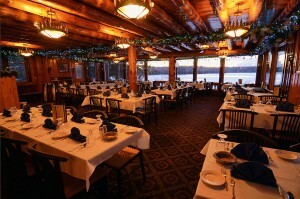 Garmisch Resort has a popular bar and restaurant that overlooks Lake Namakagon. Garmisch Resort is located on the shore of Lake Namakagon. The main lodge houses a full-service restaurant and the Bierstube Lounge serving breakfast, lunch and dinner. 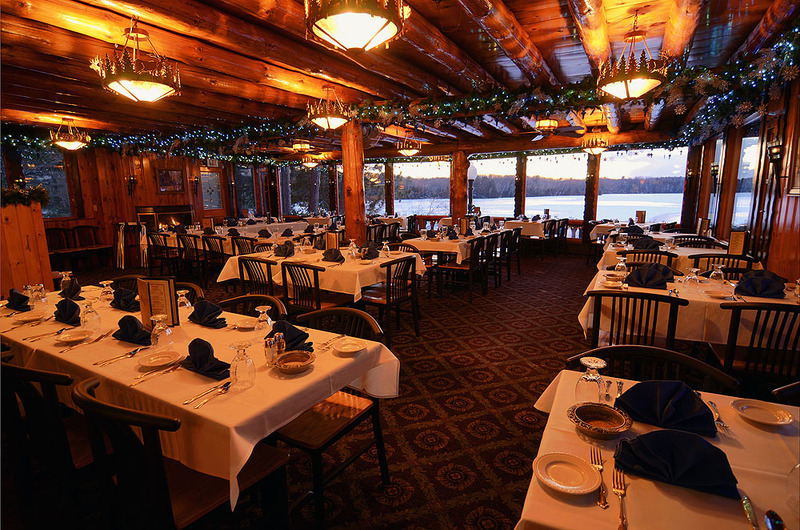 The spectacular view from the dining room provides the perfect setting to enjoy your favorite steaks and seafood and the very popular German cuisine with that special someone or the whole family. The regular dinner menu includes all the favorites: steaks, seafood, fish, fowl, pork and very popular German entrees. 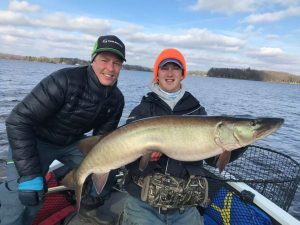 The Friday night menu includes the most popular American favorites and the All-U-Can-Eat fish fry featuring your choice of deep fried Pollock or baked Haddock Almondine. Reservations are appreciated and recommended. The Bierstube Lounge at Garmisch Resort is a popular gathering place to relax while enjoying your favorite refreshments and a tasty sandwich, salad, burger or other snack foods. During warm weather, guests may prefer to sit on the outside deck and enjoy the sun and restful water view. Menus & Prices Subject to Change without Notice.